If you're a small company that needs to increase its sales, why not take your business up a level with InterTradeIreland Elevate - theNEW sales development programme for small business. Industry and Trade/Marketing experts will work with you on a one-to-one basis to develop and implement a sales plan for your business, kick-start your sales and help you to get on the fast track to cross-border trading. All you have to do is complete a short application form and we will fund up to £10k/€11K worth of advice and assistance from your chosen industry or trade/marketing expert. Got Staff? Got a pension Scheme? Soon you will have no choice. Pension reforms is one of the biggest challenges employers are likely to face over the next two years and it will almost certainly have a significant financial impact on your business. Legislation that comes into fore in October 2012 means that businesses of every size will be legally obliged to enrol qualifying employees into a pension scheme. You will also be expected to make a contribution on your employees' behalf, starting at 1% in 2012 for large businesses and rising to 3% for all businesses by 2017. To qualify, workers will need to be at least 22 years old, have not yet reached state pension age, earn more than the minimum earning threshold (currently £7,475 per year), and ordinarily work in the UK. Those employees who have less than the qualifying earnings can voluntarily opt in. If you are self employed or a one-man director company, you won't be affected. The cost of pension starts at 2% of qualifying earnings, of which you, the employer must pay 1 %, rising to a total of 8% in 2017, of which 3% must come from the employer and !% will come from the Government. QR Code is used for encoding information in two-dimensional space -- like in the pages of magazines, in advertisements and even on TV and Web sites. They were originally used to track auto parts, but have become popular (especially in Japan) for much broader, often commercial purposes. How is it different than a barcode? Whereas a barcode encodes data in only the horizontal plane (as scanners read the width and distance between the vertical lines), QR codes encode data both horizontally and vertically in a grid of tiny squares. This allows for much more data to be encoded in a smaller space. Barcodes, then, though ubiquitous, are good for little more than identifying products and objects. Specially programmed scanners can read barcodes, and match them to product names, prices and inventory, but that's about it. QR codes, on the other hand, can actually embed that information in the code itself, and, when read with the proper software, can trigger actions like launching a website or downloading a file. Additionally, QR codes can be read from any angle, while barcodes must be aligned properly. Create your own QR code for FREE by clicking here. 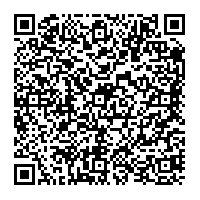 We created the simple QR Code within this email - see what it is telling you. So what exactly can I do with QR codes? QR codes are tailor-made for quickly and easily linking to content on smartphones. Simple uses include magazine advertisements that link to websites. Putting the codes to more complex use, start-up Pingtag uses them as a sort of digital business card for sharing LinkedIn accounts and contact info. Android uses QR codes to link directly to apps in the Android Marketplace, and the municipality of Bordeaux, France has posted them all over the city in order to track parking meters, provide links to information from the World Heritage Foundation and guide visitors to nearby shops or parking locations via Google Maps. In turn, Google has been using QR codes to promote local businesses (and itself) with the Google Places business directory, which includes reviews, contact info, and, if the business so wishes, coupons. There are a number of apps in the iPhone App Store that can read QR Codes, including the free QRReader. Most Android phones and BlackBerries are able to read the codes right out of the box, as can newer Nokia handsets. Windows Mobile users can download QuickMarks. All you need to do is launch the appropriate app, and point your phone's camera at the QR code you want to scan. QR codes are only bound to become more common in the coming months and years. We're increasingly reliant on our mobile devices, and typing out URLs or other data on their tiny keyboards is still not very efficient. These squares of elaborately arranged boxes are a shortcut around that problem, can easily be integrated with various services, and incorporate geo-location data. Advertisers may not have figured it out just yet, but QR codes are their best friends. Business can avail of grant funding for each new position created within their business. The IREP report stressed the importance of taking action to rebalance the Northern Ireland economy towards more value-added activities over the medium to long term, while recognising the need to provide short-term support for the economy in response to the global downturn. Therefore, the Government have secured a £19million ring-fenced budget allocation for a range of measures under a Short-Term Employment Scheme (STES), to be administered by Invest Northern Ireland, which will promote 5,000 jobs during the budget cycle. The Scheme is a direct response by the Executive to the economic downturn and recognises the need to take action to alleviate the impact of the recession on the local labour market." The IREP report stressed the importance of taking action to rebalance the Northern Ireland economy towards more value-added activities over the medium to long term, while recognising the need to provide short-term support for the economy in response to the global downturn. The Government have secured a £19million ring-fenced budget allocation for a range of measures under a Short-Term Employment Scheme (STES), to be administered by Invest Northern Ireland, which will promote 5,000 jobs during the budget cycle. The Scheme is a direct response by the Executive to the economic downturn and recognises the need to take action to alleviate the impact of the recession on the local labour market." If your business has a VAT turnover of less than £100,000, and you registered for VAT before 1 April 2010, you will be legally required to file your VAT return online and pay any VAT due electronically in 2012. This requirement is likely to become statutory for returns submitted from April 2012 and means that virtually all VAT reigstered businesses will meet the legal requirements to file online. HMRC would like to encourage paper - filing customers to act early and sign up during 2011 - so that when the April 2012 deadline takes effect, you will already be familiar with the online service and be working successfully with it. Go to https://businesslink-online.hmrc.gov.uk for information on how to sign up for the first time. Subsidised management and leadership training is available to SMEs - dont miss out! Management Analysis and Planning Programme (MAP) - For businesses wishing to take part in MAP, DEL will meet the cost of the business analysis, valued at £1,000, and provide up to a further 40 per cent contribution towards development activities arising from the training and the business plan. Find out more about MAP on the DEL website. Management Leadership and Development Programme (MLDP) - For businesses wishing to take up one of the training opportunities under the umbrella of MLDP, DEL will co-fund the costs on a 50 per cent basis and up to a maximum of £1,500 per participant.Find out more about MLDP on the DEL website. All Northern Ireland based businesses with between 10 and 250 staff are eligible to take part in the `Made Not Born` programmes, and avail of this financial assistance. This includes the Invest Northern Ireland SME client companies. Most brands would shy away from using bought-in lists of mobile numbers, even if those customers opted in to third party communications. But mobile`s a great way to gather responses to a campaign and stimulate engagement - text to win, for example, or as a customer service tool. The key to this approach is that the customer is in control. They can choose to opt in to receive news and updates about special offers and, if they agree, they get benefits they wouldn`t otherwise. Mobile is a great medium for communicating with existing customers and telling them about special offers. source: David Murphy, The Marketer, November 2010. Mobile internet has evolved - the networks are faster, more consumers have phones with built in web browsers and operators have made web browsing affordable with the introduction of flat-rate data plans. In July online measurements firm ComScore found that 18.3m UK consumers aged 13-plus used the web browser on their mobile phone. Brands are realising that, while smartphone apps are great, if it`s reach they want, they need a mobile website. As a result, mobile advertising is booming and brands are now serving up mobile - friendly versions of their retail sites. Marks & Spencer launced a transactional mobile website earlier this year after seeing that, in a 12 month reporting period, 800,000 people had accessed the M&S main website from a mobile phone. Hire wire adventure business Go Ape went all out in its latest campaign with TV, social media, direct mail, radio and web advertising. The trick, according to founder Tristram Mayhew, was making a little go a long way. Timing, audience and channel are the most important ingredients when money`s tight, he argues. As are careful planning and sourcing, especially at a time when stagnant demand means marketing real estate can be picked up cheaply. The TV Campaign was trialled in the Tyne Tees area for three weeks on the ITV network. Direct mail was aimed at specific recipients close to Go Ape locations, giving them a time-sensitive booking offer. A radio prize competition worked in tandem with radio and online ad slots. The result was a big uplift in traffic to the main website and to a specific campaign portal. The Maften Go Ape course - the focus of the TV Ads - saw bookings jump. The TV campaign received 8000 views in three weeks on You Tube, and Facebook referrals became one of the firm`s top five sources of web traffic. "Qualitative post TV campaign research demonstrated a unanimous recognition of the key message of the advert - fun, excitement and a fee-good factor", says Mayhew. "All these elements connected with the need to escape by having fun at weekends, thus the theme of the advertisement fully engaged the audience. We`re looking forward to continuing activity next year", he says.